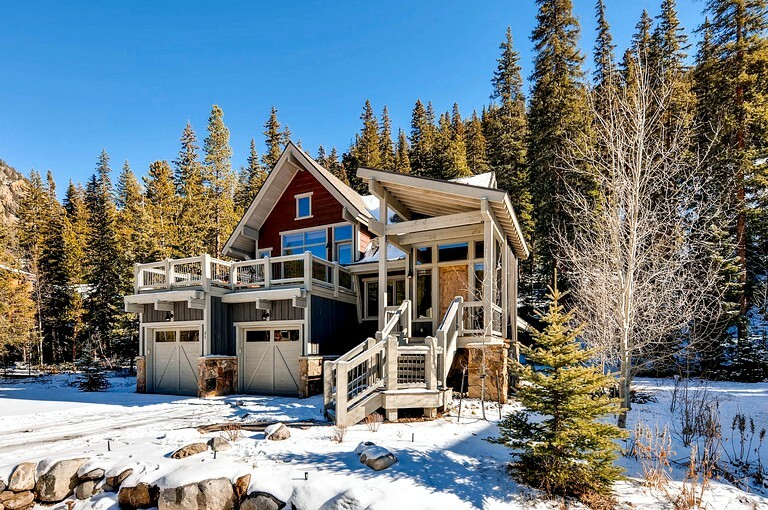 This gorgeous cabin getaway is located in Keystone, Colorado, and welcomes eight guests to enjoy an unforgettable family vacation. 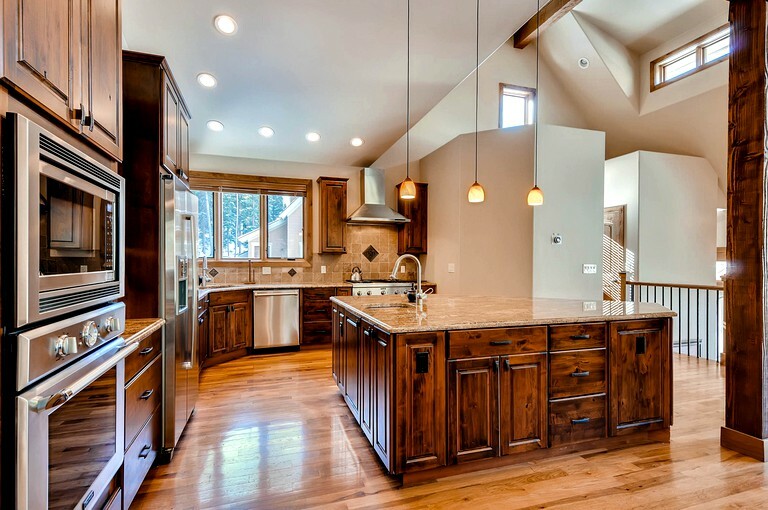 This stately rental boasts four bedrooms and four bathrooms, perfect for large families to enjoy a spacious and comfortable stay. 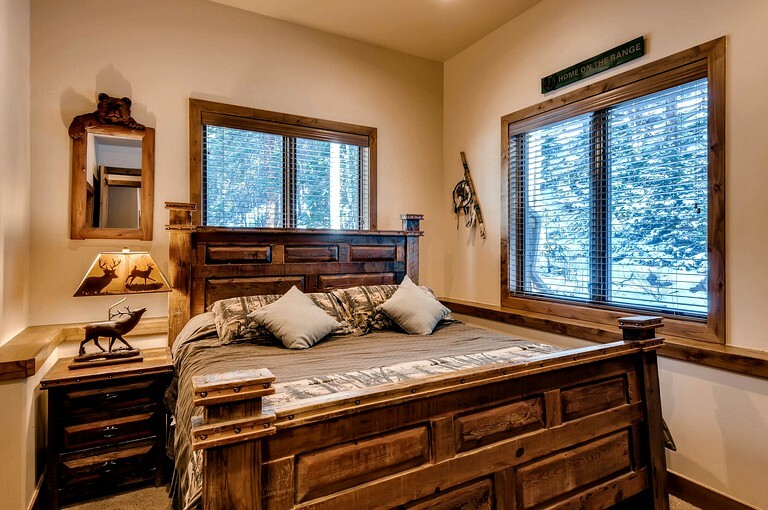 There are two luxurious master bedrooms, featuring rustic decor, which both offer one king-size bed each. 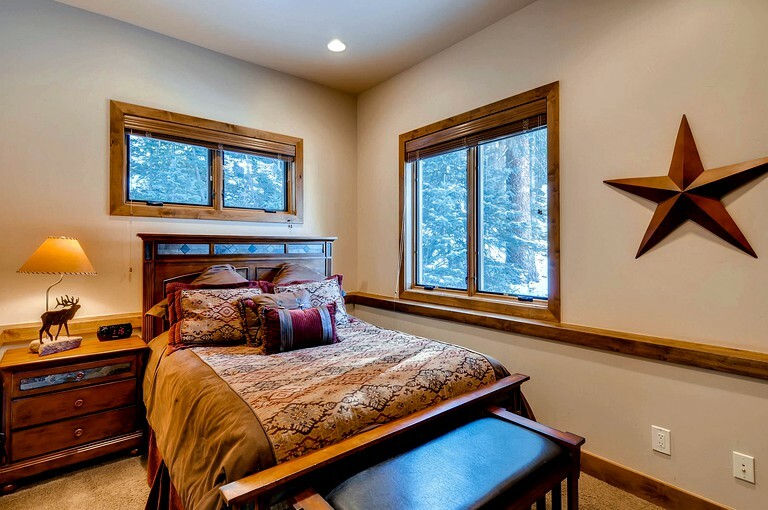 The third bedroom also offers a king-size bed and the fourth bedroom has a queen-size bed. 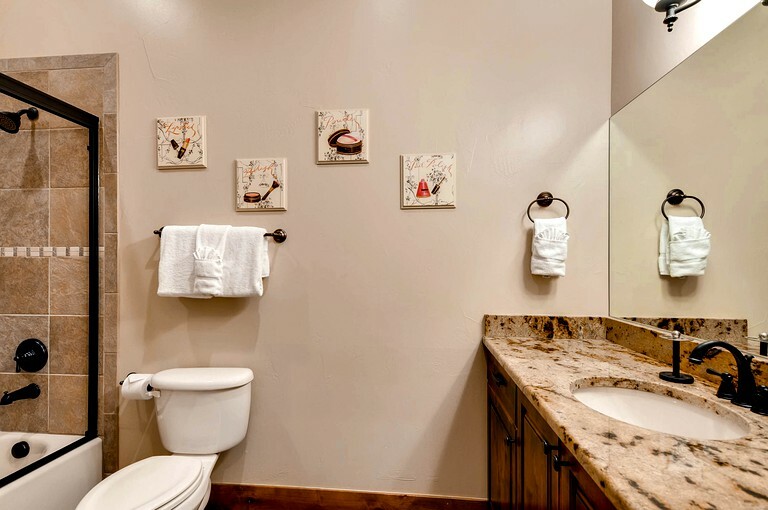 The four bathrooms in this rental are spacious and offer plenty of counter space, sinks, and showers. 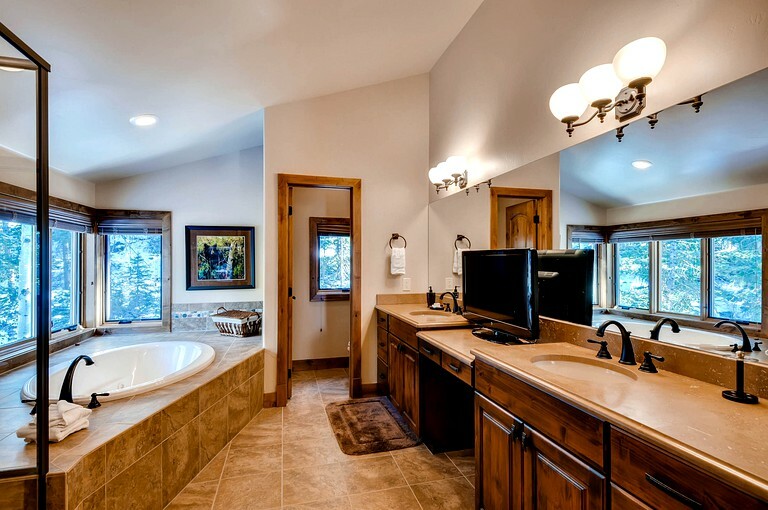 One of the bathrooms even offers a luxurious bathtub with a flat-screen television, perfect for unwinding after a long day of skiing. 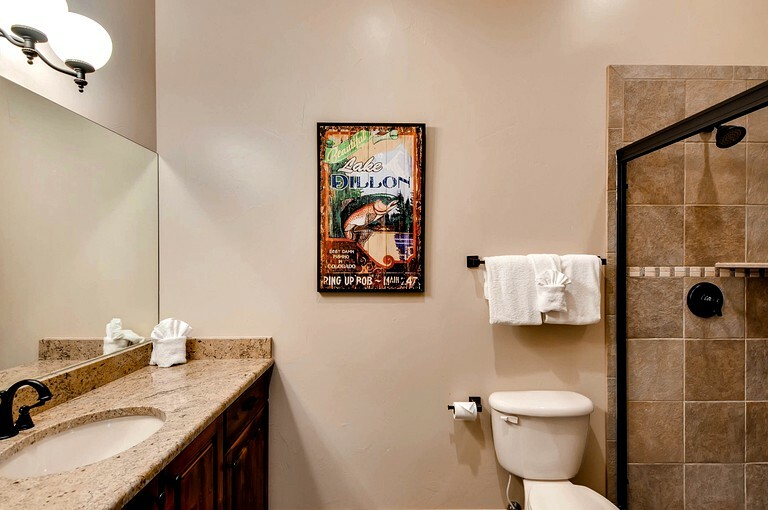 Comfortable linens and towels are provided to guests during their stay. 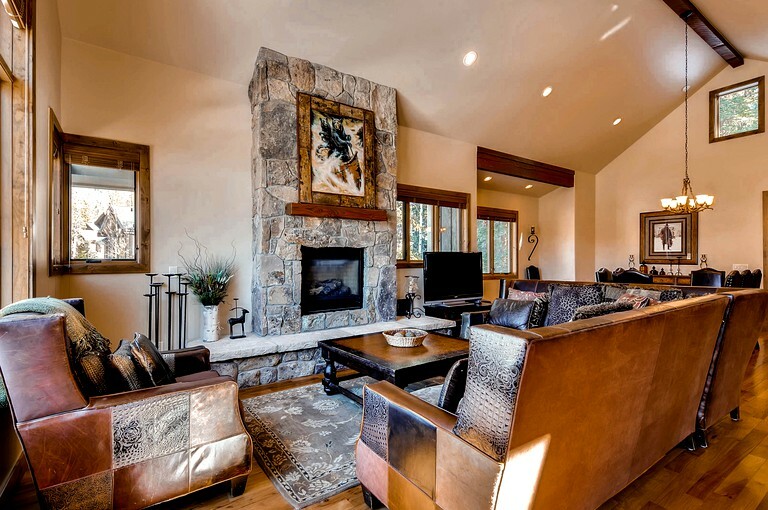 In the living area of this 3,352-square foot rental, guests will be pleased to find comfortable couches, large windows with splendid mountain views, as well as a cozy stone gas fireplace, and a flat-screen television. 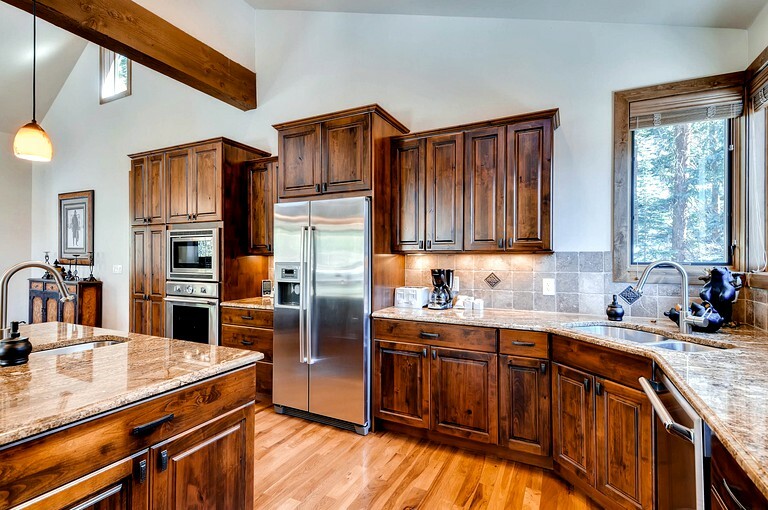 The stunning, spacious kitchen features lovely granite counters and everything needed for creating delicious home-cooked meals, such as a coffeemaker, a dishwasher, a microwave, an oven, a refrigerator, a stove, and all of the necessary cookware and cutlery. 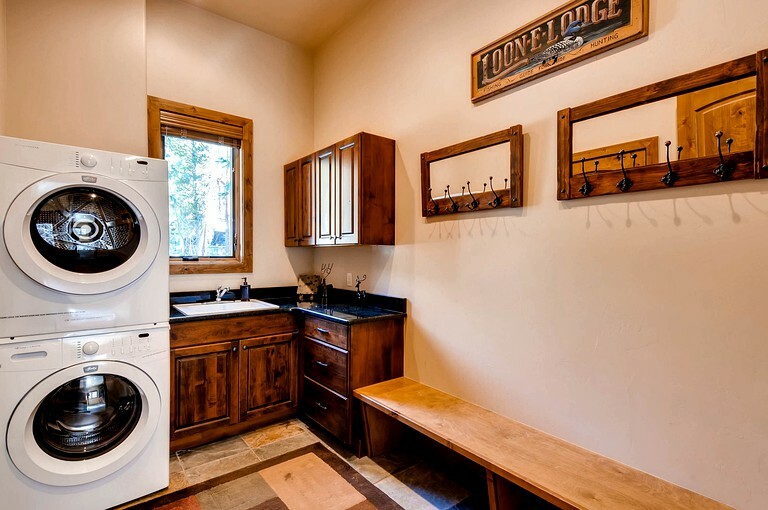 Other amenities include Wi-Fi, central heating, a washer and dryer, a hairdryer, and a telephone. 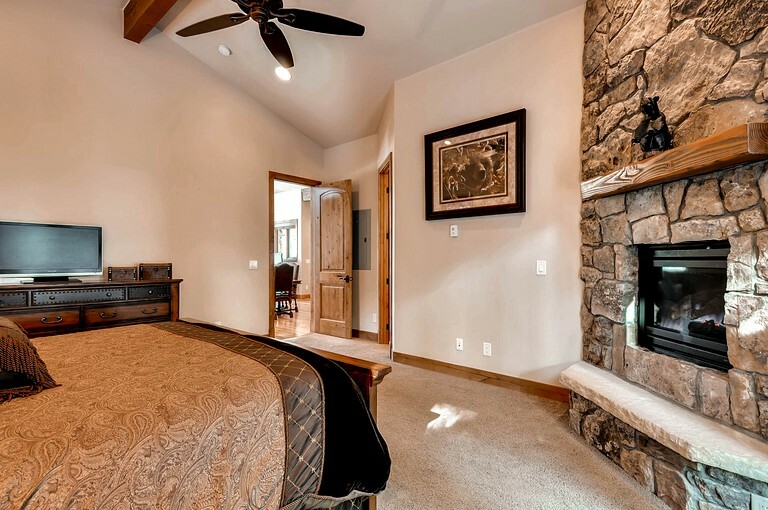 While enjoying this luxurious rental, guests will have all of the comfort and luxuries needed in order to experience an unforgettable family vacation. Guests will have access to a heated pool and a hot tub, perfect for year-round outdoor relaxation after a long day. 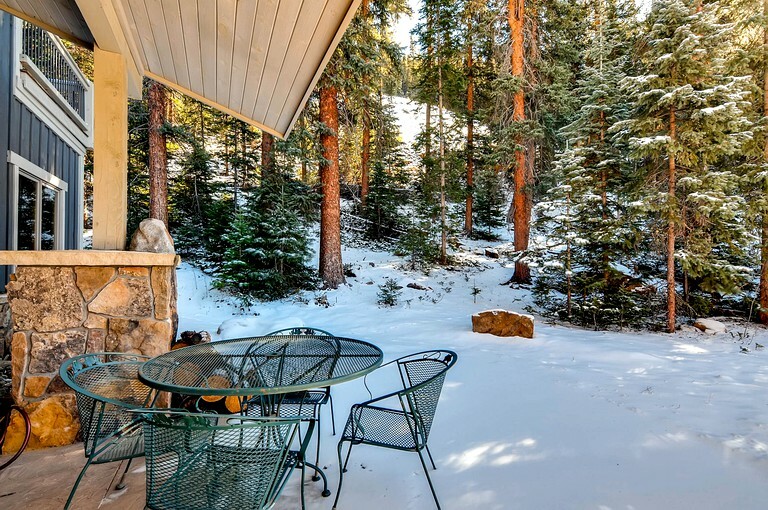 There is a lovely private balcony available, where guests can admire the breathtaking mountain views while enjoying a cup of coffee. Guests will love the free resort shuttle route that will easily transport them to Keystone Resort. 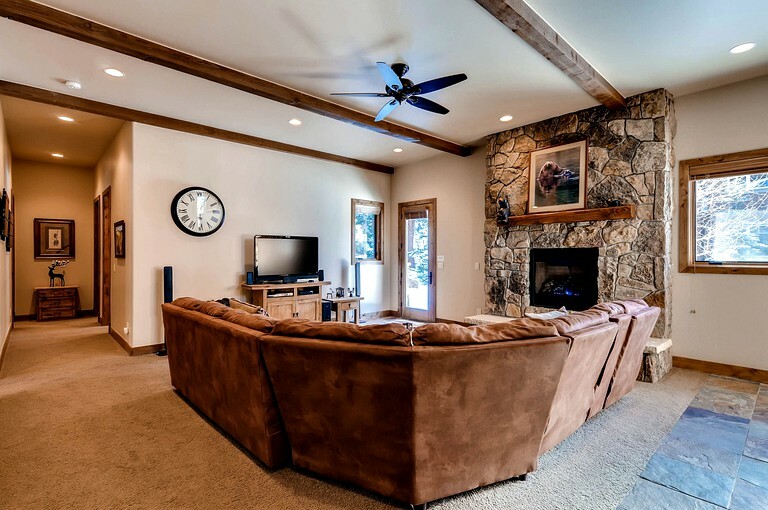 For indoor entertainment and relaxation, guests will find a pool table, free Wi-Fi, a flat-screen television, and a cozy gas fireplace. Guests will love the free activities included in their stay, such as free skiing for children 12 years old and under, a free night of skiing on the day of arrival, free Nordic trail admission, free yoga and fitness classes, free ice rink admission, and much more. 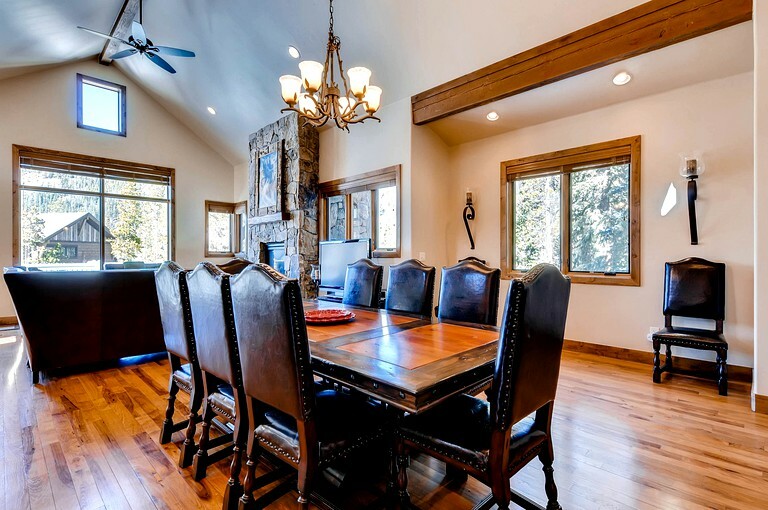 This gorgeous family-friendly vacation rental is located in Keystone, Colorado, and is surrounded by breathtaking mountain views and world-class ski slopes. 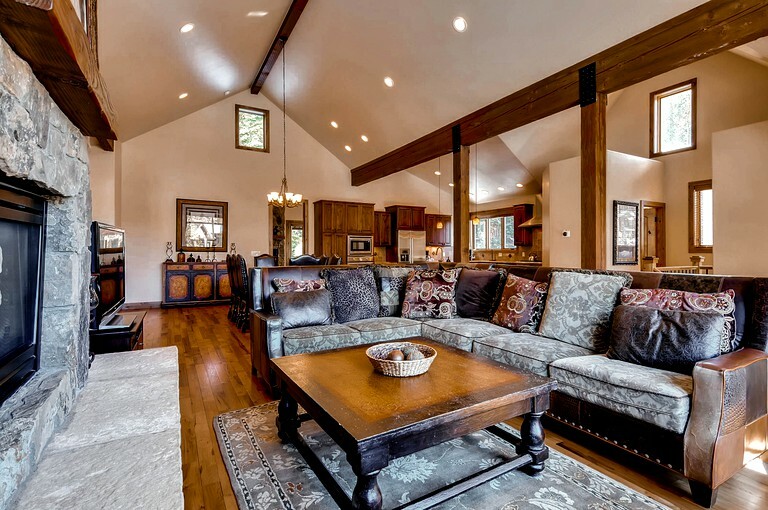 This rental is surrounded by towering trees and an abundance of wildlife, providing the utmost relaxation and privacy. 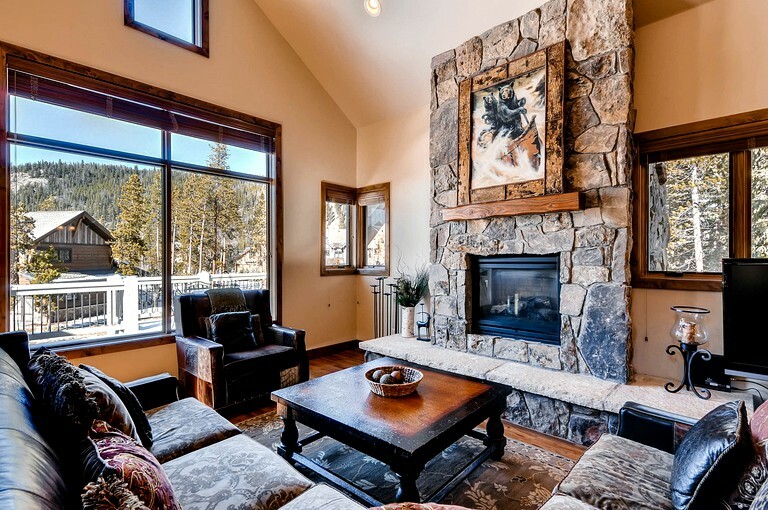 Guests are only four miles away from the famous Keystone Ski Resort, with the free resort shuttle available for easy transportation. 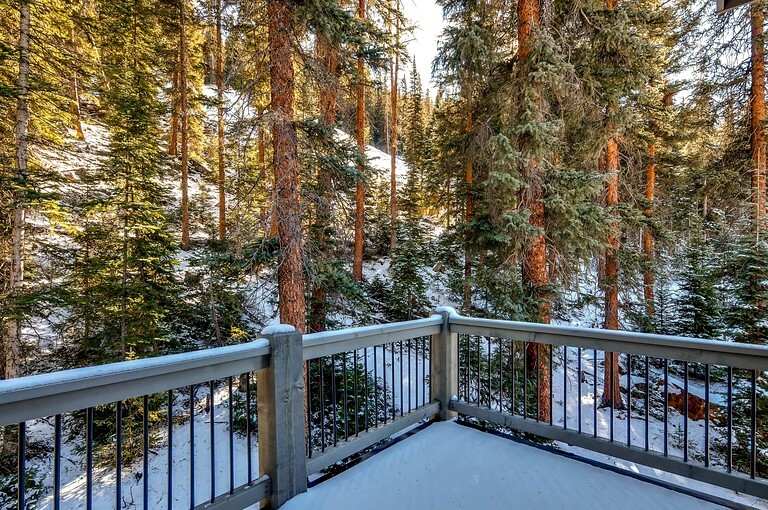 This rental is only 10 miles away from the Loveland Pass and less than three miles away from the stunning Keystone Lake. 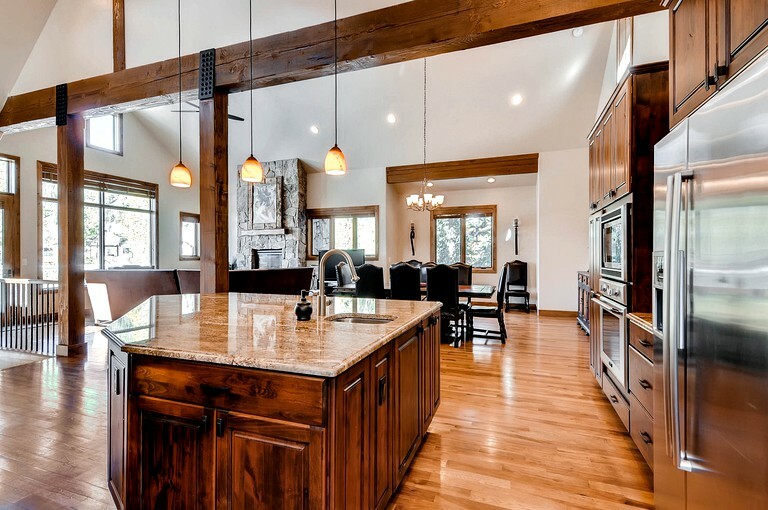 Guests are only minutes away from a variety of incredible restaurants, such as Kickapoo Tavern, Inxpot, Ski Tip Lodge, Bed and Breakfast, and so much more for the entire family to enjoy. 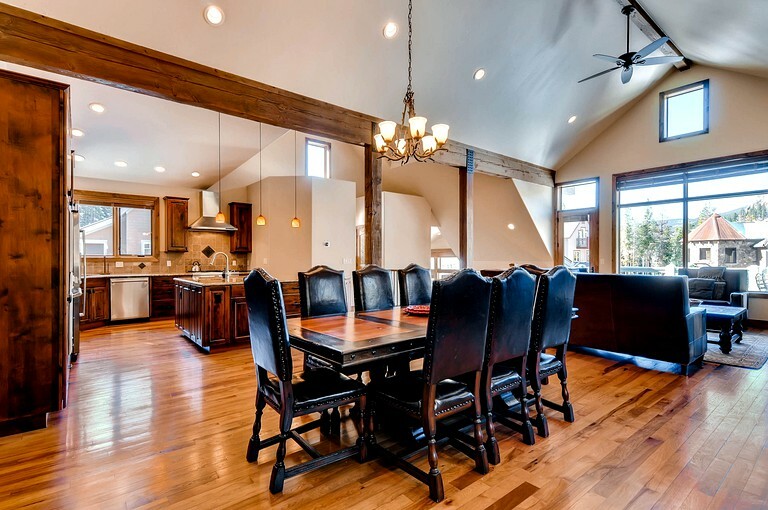 This massive rental offers guests the opportunity to relax and enjoy family time together without even leaving the property. 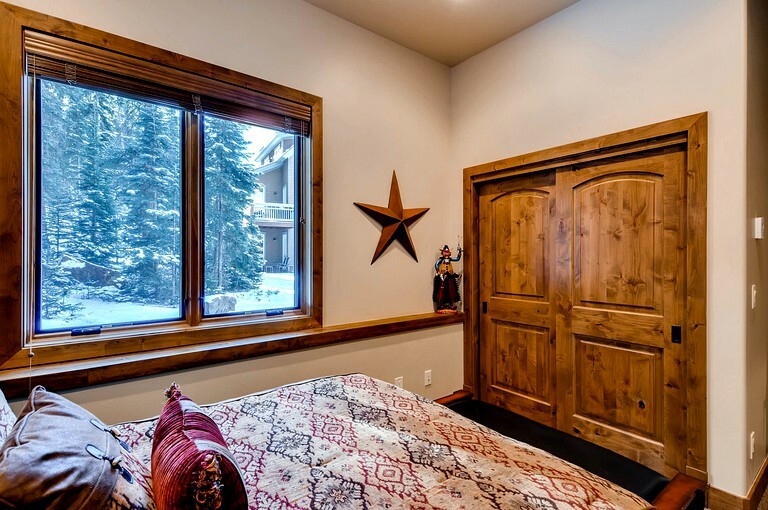 Guests will love soaking in the private hot tub after a long day of skiing while admiring the night sky. The private balcony is the perfect place to enjoy a good book while taking in the surrounding views. 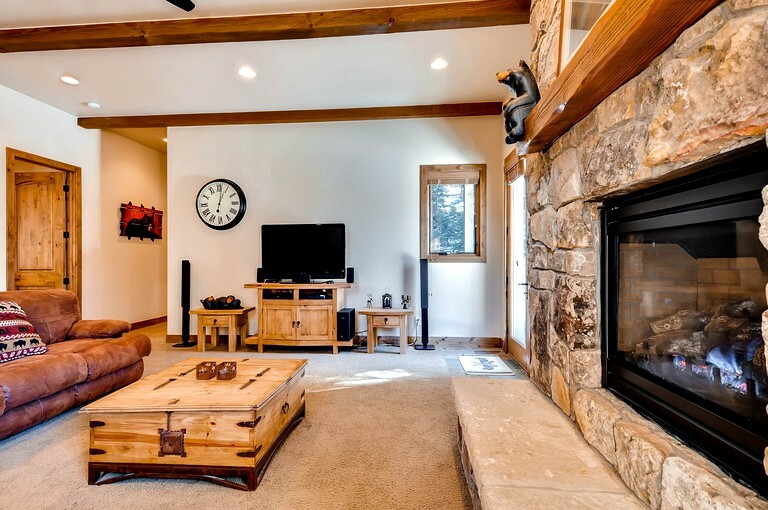 The Keystone Resort boasts incredible outdoor adventures, only minutes away from the rental. Guests will love the endless skiing, as well as the free skiing offered to guests 12 years old and younger who stay two nights or more. Guests can also enjoy scenic gondola rides with unparalleled views, snowmobile tours, and the World’s Largest Snow Fort. 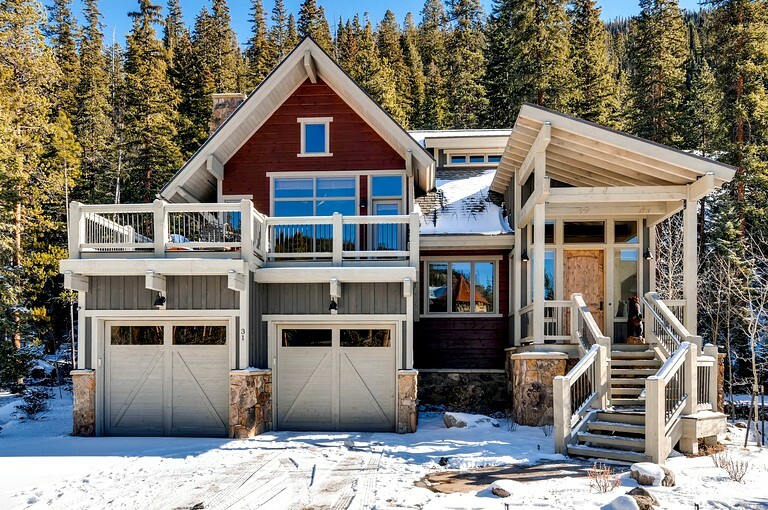 For any non-skiers, Keystone Resort boasts a number of exciting outdoor options for fun, such as ice skating at Dercum Square, offered both day and night for all to enjoy. Guests will love the horse-drawn sleigh ride through the magnificent Rocky Mountains while enjoying a hot spiced apple cider. 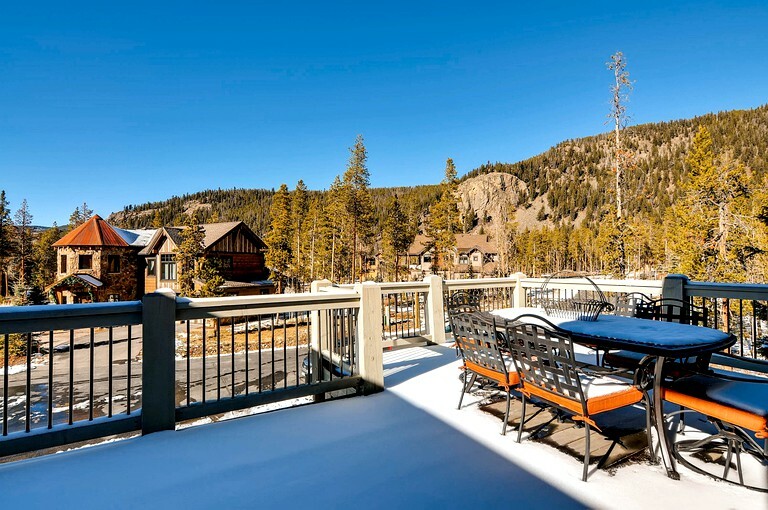 Keystone boasts delicious restaurant options after a long day of outdoor fun, such as Ski Tip Lodge, Bed and Breakfast, a fine dining experience with a cozy atmosphere. Kickapoo Tavern is also a wonderful option, featuring quality beer and delicious comfort food for all to enjoy. Check-in is allowed between 4:00pm and 12:00am and check-out is at 10:00am. Pets and smoking are not permitted on this property.